CAIRO - Defense Secretary Leon Panetta said he urged Egyptian leaders to release a U.S.-born man being held for allegedly being an Israeli spy, but the former U.S. spymaster did not win the man's release during a two-day stay in Egypt. Egypt has accused Ilan Grapel, 27, of being a Mossad agent  a claim Israel denies. And his detention since June has escalated criticism of Egypt's military, which took over rule of the country after the ouster of Hosni Mubarak in February. 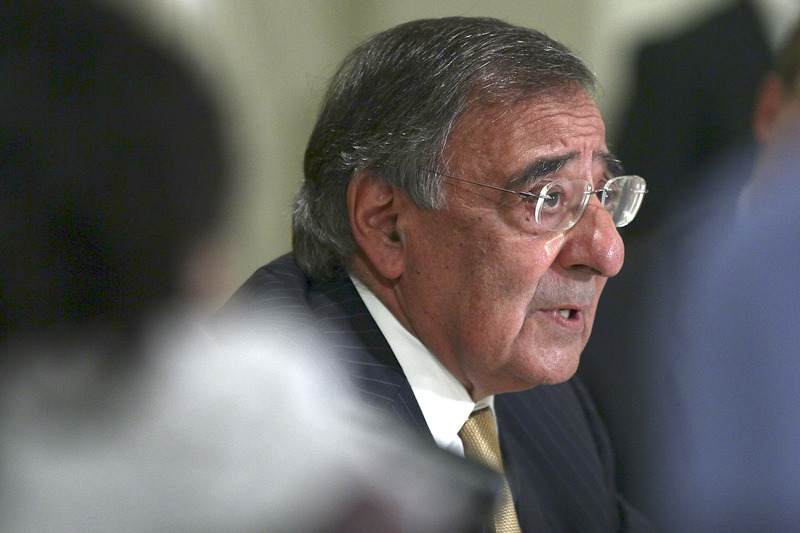 Panetta said the U.S. has expressed concern about his treatment, and continued detention. Panetta said he is confident that the interim military leadership in Egypt will "deal with that fairly," but he did not indicate that he won any specific promise for Grapel's release. Grapel is a dual U.S.-Israeli citizen who said he was working for a Cairo legal aid project when he was arrested. Published reports have suggested that he is ill and that Egypt's government was responding to appeals for his release. But there have been no specific promises, or any public suggestion his release might be tied to Panetta's visit in an effort to curry support from the U.S. The United States is worried about increasingly public Egyptian displays of hostility to Israel, with which Egypt has a three-decade peace pact that is a cornerstone of U.S. policy in the Middle East. Top U.S. officials including Panetta and Secretary of State Hillary Rodham Clinton intervened with calls to Egypt's military chiefs last month, when protesters stormed the Israeli embassy in Cairo. Palestinian militants who infiltrated Israel from Egypt's Sinai desert killed eight Israelis in August. Six Egyptian soldiers in Sinai were killed as Israel pursued the attackers, sparking protests in Egypt. Israel is an unpopular among many Egyptians as it is in other Arab countries, but Mubarak kept the lid on full dissent. Egypt and Israel both receive large amounts of foreign aid from the U.S. The U.S. contributions to Egypt reached $2 billion annually after the 1979 treaty. The military has pledged to hold presidential elections soon, and Panetta said he pressed Egyptian leaders to move to the elections and quickly put a civilian government in place. Speaking with reporters before leaving Egypt, Panetta said he has "full confidence" in the process toward the elections that will be overseen by the military. Panetta said he told Egyptian leaders it is important that they lift an emergency police powers law as quickly as possible. He said he was given assurances that the military is seriously looking for a way to do so. It was considered unlikely by some officials that Egypt would choose Panetta's visit as the time to release Grapel, who has been held since June 12. But Panetta did not totally close the door when asked about the issue ahead of his brief visit. "We have made our concerns known to Egypt about holding that individual and we would hope that ... they will take steps to release that individual," Panetta, the former CIA director, told reporters at a news conference in Tel Aviv, where he met with Israeli Defense Minister Ehud Barak on Monday.